Are you tired of mosquitoes in your yard? Do you have a beautiful backyard space you feel like you can’t even use? There’s no reason to be held hostage by the mosquitoes—you just need an effective mosquito repellent. Not all mosquito repellents are created equal. The market is overrun with options and I know it can be overwhelming. You deserve a mosquito-free space. More than that, keeping mosquitoes in check is good for your community. If you aren’t convinced yet, here is some information on why it’s in our best interest to employ mosquito control. Don’t waste your time or money on ineffective products. If you’re looking for trustworthy recommendations, here’s my professional opinion on some of the best mosquito repellents on the market. First things first. It’s hard to choose a mosquito repellent without understanding how they work. Once you know, you’ll be able to choose the right one for you. Before selecting what you’ll use in your yard, you’ll need to know the different types of mosquito repellents available. You’ll also want to know why mosquitoes do what they do. This information will help you plan an effective program against the mosquitoes. Do you find you’re the only one out of a whole group of people to be pestered by mosquitoes? It might not be your imagination. Mosquitoes find their victims using their sense of smell. 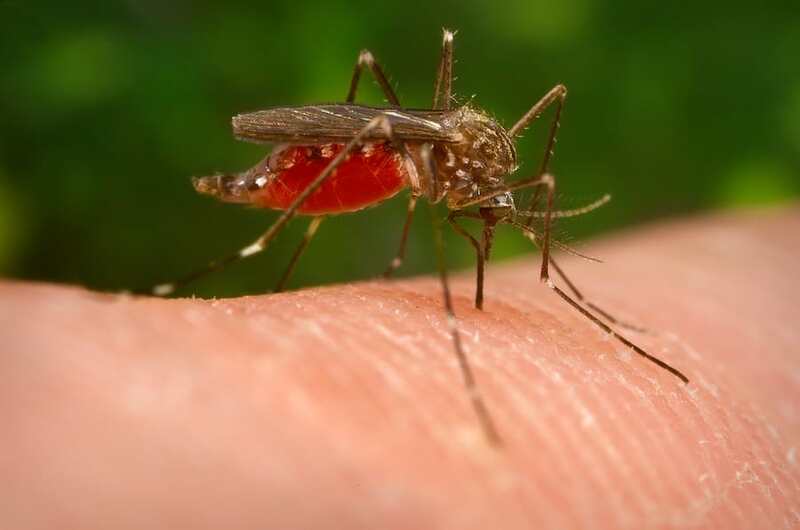 If you’re prone to mosquito bites, there’s something about your individual body chemistry that creates an appealing scent to mosquitoes. Mosquito repellents have been an obvious solution to dealing with mosquitoes. Topical repellents work by blocking your scent and preventing mosquitoes from recognizing you as a potential meal. Sprays and creams can be a great short-term solution for avoiding mosquito bites. If you’re heading to a game or going for a walk in the woods, go ahead and pull out the bug spray. But what if there’s a better long-term solution for your outdoor space? One that doesn’t involve spraying yourself with chemicals every few hours. Here’s the good news—there is a better option for treating a mosquito problem at home. You won’t need to spray yourself every time you step out the door. Treat the yard—that is, treat the problem—and you’ll be able to come and go as you please. Your first option, a popular and effective one, is to use a mosquito repellent spray in your yard. This is an approach I highly recommend. It allows for a maintenance program and for you to tailor a system to your needs. It’s easy to imagine that yard sprays work the same as the aerosol can of spray you use before a hike. It turns out that’s not the case at all. Outdoor mosquito sprays work to disrupt the reproductive cycle of the mosquito population. Prevention will always be your best bet for mosquito control. Use a yard spray from the beginning of the season and you can avoid an infestation altogether. For more information on how bug repellents and insecticides work, do your research and follow along closely. Understanding how they work will give you a better idea about what mosquito control option works best for your needs. Trust me when I say I’ve used many mosquito repellent sprays. Some are more effective than others. Learn from my mistakes—these are the best I’ve worked with. Wondercide Ready-to-Spray Natural Yard Spray is a natural yard repellent. It’s formulated to kill not only mosquitoes, but also fleas, ticks, and other pests. Best of all? It’s safe for kids and pets, and won’t hurt any bees or other beneficial insects. A 32-ounce bottle of Wondercide Flea & Tick Control will protect up to 5,000 square feet of yard. You don’t even need to wait for the spray to dry. Just spray and get to enjoying your mosquito-free yard. This spray is a great option for those that are concerned for the environment. Made with an eco-friendly alternative to permethrin that’s entirely biodegradable, this product is made in the United States. Even without the harsh chemicals, this spray is incredibly effective. It works on mosquitoes of all life stages—adults, eggs, larvae, and pupae. This spray isn’t only effective on mosquitoes, though. You can say goodbye to a variety of pests in your yard. Chiggers, roaches, ants, fleas, and mosquitoes will all be a thing of the past. If you already have a pest problem, you should use this Wondercide spray two times during the first week or so. You’ll spray whatever area of the yard is problematic and where you spend your time. Hit the lawn as well as the patio. Complete coverage the first time is critical to successfully eradicating your pest problem. You’ll start at the house. Spray the exterior of your home, top to bottom. Then, methodically, make your way through the yard. Sweeping side to side with your spray, make your way to the fence line or end of your treatment area. Once you get there, you’ll start a new swath back to the house over the untreated ground. Keep going until you’re out of the yard. It doesn’t hurt to let each new pass overlap the last. A little overlap only guarantees you aren’t leaving any ground available for mosquitoes to set up shop. It will be more intensive during the first few treatments. Once you have the pest issue under control, maintenance is a less time-consuming process. You’ll also need to do less frequent treatments. After you have your pest problem under control, you should expect to reapply every month or so. If you have an exceptionally hard rain or a very wet period, you’ll need to re-apply afterward. Wondering how this miracle product works? Why it’s effective against the mosquitoes and other pests in your yard but spares the birds, butterflies, and bees? It’s all in the cedar oil. That’s right. Cedar oil. It’s not a miracle at all—simply an all-natural ingredient that has the ability to rid you of your pest problem. Octopamine is critical to pheromone-driven pests. It regulates the heartbeat. Cedar oil interrupts the function of the octopamine neurotransmitter receptors. When those pheromone-driven pests like mosquitoes and roaches come into contact with the cedar oil, they quickly suffocate. Birds, mammals, fish, and insects that hunt by sight do not have octopamine neurotransmitters. The cedar oil in no way affects them, making this a great solution for a specific pest issue. It’s especially great if you have pets and children in your yard. Mild winters can mean a heavy tick season. Extra wet seasons can mean more mosquitoes. This easy-to-use spray will help you combat the pests. The dispenser hooks up to your hose for easy use. When you’ve finished the bottle you can easily refill with the Wondercide concentrate. Wondercide Ready-to-Spray Natural Yard Spray can be purchased here. Order your first bottle and you’ll be on your way to a mosquito-free life in no time at all. Another excellent option for backyard mosquito control is Cutter Bug Control Spray Concentrate. This spray lasts up to 12 weeks and is easy to use. The quick-flip bottle hooks up to your hose, and the spray is simple to control with only your thumb. A 32-ounce bottle works to protect 5,000 square feet of your yard. Cutter Backyard Bug Control is great for mosquitoes but that’s not all it’s good for. This one product will eliminate grubs, fleas, whiteflies, deer ticks, ants, chinch bugs, mites, fire ants, Japanese beetles, and more. You can rid yourself of most common backyard pests with a single application. This Cutter product is made in the United States and safe for use on lawns, gardens, trees, and shrubs. You can even use it on siding and concrete. It’s safe for pets and children after the spray has dried. Like other yard sprays, you’ll need to monitor the weather when using this. Don’t apply before expecting heavy rainfall. If you do experience extreme weather or prolonged rain, you’ll want to re-apply, even if it’s ahead of schedule. This product is not for you if your lawn is within 100 feet of coastal marsh or water that feeds into a coastal marsh. In fact, in New York, such application is prohibited. If you have any doubts about whether this is safe to use in your area, seek a professional opinion. The main thing to remember during application is that this product can contaminate water sources. Make sure you don’t apply near sewers, drains, or gutters that lead to bodies of water. Definitely choose another product if your application site is near a fish pond or aquatic habitat. For best results, prevention is the way to go. You’ll want to start treatment before you notice a real problem. Cutter will work on active infestations as well but expect you’ll need multiple applications to get the job done. You will want to measure the space you need to treat before getting started. This will give you a better idea of how much product you need to purchase. It will also help you determine how quickly you should go through the product during application. If you are treating trees and plants, give them a thorough coating with the spray. If you are applying to produce, make sure to pay attention to the guidelines for the time needed before harvesting. For your safety, always follow the directions on the label. A thorough application will be the key to success. If you miss spots during the application process, that can allow mosquitoes to continue to breed in your yard. At the end of the day, leaving an active breeding ground won’t solve your pest problem. To apply, you’ll first shake the bottle firmly. Once the concentrate is incorporated, you’ll attach your garden hose to the bottle. Make sure the switch on the bottle is fully in the ‘off’ position. When your bottle is prepped, you’ll turn the water source for your hose on. Start at the furthest point away and make your way back toward the faucet. Avoid coming into contact with the spray you’ve already laid. You’ll want the spray to dry completely before coming into contact with it. Keep that in mind as you are planning your route through the yard. Remove the safety tab, point toward the area you’ll be treating, and pull the switch back with your thumb. Water will be released into the container, mixing with the concentrate before being applied to the treatment area. Using a back-and-forth sweeping motion, move slowly through the treatment area. You’ll want each space to be wet before moving on. Treatment areas should overlap just a little, so you’re sure you haven’t missed any areas. When you’re ready to stop spraying, you simply push the switch forward toward the nozzle. Before disconnecting the hose, turn the water off at the source and push the switch back to its ‘on’ position. This will allow excess water pressure to dissipate. When no more water comes through you can flip that switch back to ‘off’. If you have any leftover product you want to store for your next application, slide the safety tab back into place. Now your container is ready to be put up until your next application. If you have any leftover product you don’t plan to use, you’ll need to call in professionals to dispose of it. This isn’t a product you’re able to pour down a drain. Your best bet is to use up the product fully so you don’t need to worry about disposal. This spray needs at least 24 hours between application and exposure to rain. If you experience rain before that 24-hour window is up, you’ll need to re-apply. You’ll also want to be sure you don’t apply to the same area more than 14 times in a year. This product is not safe for fish or aquatic habitats. If you have fish or bodies of water nearby, you should look for another mosquito treatment plan. Applying during a still day without any wind will help prevent wind from cross-contaminating water habitats. If you have an active bee population, this is not the product for you. Avoid using this on blooming flowers or where bees are present. This Cutter product is extremely toxic to bees if they are directly exposed. You can find Cutter Backyard Bug Control Spray Concentrate here. Order some today and in no time at all, you can be living the dream, mosquito-free. Talstar Professional is effective against 75 different varieties of insects. You’ll certainly have your mosquito population under control. The lack of other pests will be a bonus. Your yard will be an oasis you’re finally able to enjoy—without any bug bites. One of the most widely-used products by professionals, Talstar Professional is safe to use both indoors and outdoors. According to the Talstar website, you can apparently use it in areas where food is handled—though not directly on food-prep surfaces or food itself. Talstar Professional is odorless, dries clear, and applications are long-lasting. In terms of time commitment, this may be the best option; a single application lasts for months. In fact, one application of Talstar Professional will last you three months. Rain won’t diminish its effectiveness. It leaves no residue and won’t irritate your skin. However, you’ll still want to avoid inhaling the spray or having it come in contact with your eyes, skin, or clothes. Talstar Professional is a great broad-spectrum insecticide spray. It works to disrupt the way the pests’ nervous systems work. This causes weakness and eventually death. A thorough application will be critical to establishing pest control. As when using any chemical or poison, you’ll want to use common sense when working with Talstar Professional. Make sure to wash your hands well after use, and that any contaminated clothing makes its way directly into the wash. When handling and applying Talstar Professional, make sure you are wearing long sleeves and pants. Always use chemical-resistant gloves. The extra precaution will work to keep you safe. Respiratory protection is recommended, especially in non-ventilated spaces. You won’t apply this product to pets or food sources. You’ll also need to avoid application to electrical sources and interior surfaces of your home. If you spray firewood, you will need to allow at least one month to pass before burning. You’ll want this spray to fully dry before allowing pets or people to come into contact with treated areas. You’ll also want to avoid all food or food-prep surfaces. Edible gardens should not be treated with Talstar Professional. Should you need to treat a ceiling for bugs, you’ll want to lay plastic down below for any settling spray. After the spray has dried, remove the plastic and dispose of it properly. Please follow all of the manufacturer’s guidelines closely. Remember, prevention will be your best course of action for mosquito control. The sooner you start treating a potential problem, the easier it will be to get your pest issue under control. My recommendation, as always, is to treat at the beginning of the season before there’s any sign of a problem. To treat with Talstar Professional—a concentrate—you’ll first need to create the appropriate mixture. Using a non-household, non-kitchen, measuring tool, you’ll require a .06 percent diluted formula for heavy infestation or quicker treatment. Mix 1 fluid ounce of Talstar Professional to 1 gallon of water. If you are doing a preventative application or one for maintenance, you can get away with a weaker solution. For a .02 percent dilution, you’ll use .33 fluid ounce of Talstar Professional for every 1 gallon of water. When you begin to see pest activity again, you may go ahead and re-treat the area. You shouldn’t re-treat the same area more than once in a 7-day period. Avoid using this product on windy days when the wind may carry the spray outside of your treatment area. If storing your product, make sure it’s in a place children and animals won’t be able to get into it. Like other chemicals, it’s important you follow the manufacturer’s directions exactly. Don’t use more product than directed. It won’t make the treatment more effective. FMC Talstar P Professional can be purchased here. Easy, pest-free living starts right now. A product is only as good as how it’s used. If you want good results from your spray, you’ll need to follow the manufacturer’s directions. Thorough application, using only as much product as directed and diluting appropriately when necessary, will make pest-control efforts a success. Additionally, addressing the result of an issue without addressing the root of the issue won’t be helpful. You can treat for pests all day long, but if you haven’t removed breeding-ground conditions, it’ll only help so much. Before embarking on the task of eliminating an active infestation, go the extra step to eliminate conditions that encourage mosquitoes. First, clean out your gutters. A full gutter can trap excess water and allow for mosquitoes to reproduce. Remove any standing water and decaying organic material. Composts are great, but make sure they are enclosed to avoid a high level of pest activity. A steady, consistent application will help create thorough coverage. Move slowly and methodically during the application. Covering every bit of yard will help prevent pests from leaving eggs in any missed areas. Don’t drop your guard and miss the window for reapplication. Remember, an active infestation will take more vigilance to get back under control. Avoid that by maintaining a spray schedule. Keep your maintenance schedule in place and you’ll keep the bugs at bay. You’ll be enjoying mosquito-free zones all season long, instead of repeatedly fighting infestations. Mosquito sprays aren’t the only option when it comes to keeping your backyard mosquito population under control. If you’re looking for an alternative to a sprayed mosquito repellent, look no further than some of the best mosquito killers below. This 4,000-volt insect zapper is Livin’ Well’s most powerful mosquito killer. A single zapper protects 1,500 square feet and can be a great solution for difficult-to-spray areas. Of course, this zapper is portable and requires no prep. Haven’t gotten to the spraying yet? Hitting a campsite for the weekend? This could be your new best friend. Rust-proof with a replaceable light bulb, for use both inside and outside, this zapper leaves little to be desired. A single bulb will grant you 8,000 hours of mosquito protection. Flying insects, mosquitoes included, are drawn to the light. They slip inside the exterior cage and can’t make their escape. They’re then, appropriately, zapped by the 4,000 volts of electricity—never to make a meal of you again. Now, there is no on/off function. As long as it’s plugged in, it’s on. You’ll need to keep that in mind when you’re planning your evenings and location of the zapper. It’s non-toxic and easy to clean—both attractive qualities in a mosquito-control device. It’s great for flies as well, which means it’s pulling double-duty. Equipped with a cord, you can have protection from mosquitoes wherever you have an energy source. When it’s time to clean, you simply unscrew the base and pop it off. Just like that, you can toss your previous pests in the trash and be officially done with them. Then it’s ready to be used again. Lightweight, at a little over 2 pounds, there are very few drawbacks to this zapper. I would recommend using it in conjunction with a maintenance program for mosquitoes, but it’s certainly valuable on its own. This zapper can be hung up for permanent placement or you can carry it with you as needed. Of course, you can extend your coverage by placing multiple zappers strategically throughout your outside space. The best part about this product? Apart from the fact that there are no chemicals at all involved, it is completely safe. Made of ABS fire-resistant material, this zapper has the bonus of being quiet and effective. This isn’t the zapper you remember as a kid. If you’re in the market for a zapper or want something portable for mosquito protection, this could be it. If you have a spray system in place, this zapper can be a great supplemental tool for pest protection. If you want one of your own, the Livin’ Well Electric Bug Zapper can be purchased here. Mosquitoes won’t stand a chance. An insect fogger can be another useful alternative to a mosquito repellent spray. The highly-recommended and effective Burgess 1443 Propane Insect Fogger will get the job done. If you have a mosquito problem, this could be your solution. This fogger produces up to 10 feet of fog. There’s no odor, it treats an approximately 5,000-square-foot zone, and works for up to six hours. Mosquitoes will be a thing of the past—as will other flying pests, like biting flies. There’s very little wait time after application. Simply wait for the fog to clear and you can be using your yard safely and without suffering from bites. With 10 minutes of treatment time and five minutes of waiting time, you can be in a bug-free paradise. This fogger uses propane, which means it’s completely portable. Wherever you can go, this fogger can go, keeping the mosquitoes at bay. The Burgess 1443 Propane Insect Fogger is just that—a piece of machinery that allows you to fog areas for pests. You will be responsible for selecting the insecticide you want to use with this fogger. There are a lot of options out there when it comes to insecticides, but don’t be overwhelmed. This fogger is for use exclusively with insecticides by Cutter, Black Flag, and Repel. With the insecticide options narrowed to those brands, it shouldn’t be too hard to choose what you need. After that, you’ll need to invest in a 14.1-ounce propane cylinder. The propane cylinder is not included with the purchase of this fogger. So why use the fogger when you need the insecticide anyway? Here’s why: the fogger helps break the insecticide down into microscopic particles. Those particles create the fog, which is seven times finer than a traditional insecticide mist. The extra-fine particles make for easy and even application in your yard. The particles travel easily and get to places you might have a more difficult time treating otherwise. The result? Six beautiful, mosquito-free hours. Unlike the long-lasting sprays, these fogging applications will only last you an evening. That being said, they use far less product to get the same mosquito-free result. If you’re concerned about ongoing costs or exposure to chemicals, this could be a good solution for you. There’s no need to mix and a single quart can treat up to a half acre. This fogger is for outdoor use only. When you’re applying your insecticide, pay close attention to heavy foliage and crevices. You want to make sure you coat every space a mosquito might be hiding. With only six hours of coverage guaranteed, you’ll want to plan application accordingly. If you can, fog around dusk. The wind will have lessened and the mosquitoes won’t be out in full force. You’ll be able to hit the mosquitoes in their hiding spots, and your night will be pest-free. It may take a use or two to become fully comfortable with the fogger, but using it is quite simple. First, you’ll need to lock the trigger by sliding the yellow switch to the right. This will just prevent any accidental fogging before you’re ready. When the trigger is locked, you’ll fill the yellow reservoir. It removes easily and you’ll be able to fill with Cutter, Black Flag, or Repel Fogging Insecticide. Prior to filling, make sure the reservoir is free of any debris. Most importantly, with this device and all insecticides, remember to follow the manufacturer’s guidelines for this. Don’t cut corners on choosing an approved insecticide. Once the yellow reservoir is full, fasten it securely back to the fogger. Now you’re ready to add the propane. Turn the silver knob to the closed position by twisting toward the nozzle. When the fuel valve is fully closed, the knob will stop moving. Simply position your propane cylinder into place and tighten by hand. You can pick up propane cylinders at any hardware store or big box store. Now you’re ready to get to the fogging. Place the fogger on a level surface. You’ll be using a flame, so make sure the surface is non-flammable. Using a lighter, hold a flame under the silver coil. Twist the knob a maximum of a quarter of a turn and introduce the propane. Allow the fogger to preheat for a minimum of two minutes. It’s critical to a proper application of your insecticide. Once your fogger is heated, you’ll squeeze the trigger once every three or four seconds. The most effective fog will be thick, white, and dry. Make sure the breeze is at your back —or better yet, that there’s no breeze at all. That way, you aren’t fogging yourself during the process. The treatment area should be 5 feet from where you are standing. Remember, your fogger must be sufficiently heated to produce an effective fog. Every squeeze of the trigger releases insecticide that travels through the heat-conducting coil. The heat from the coil is responsible for producing the fog by vaporizing the insecticide. You’ll know you have the formula right when the fog is thick and white. If the fog is yellow and thin, pull the trigger more frequently to help cool down the coil. It’s a balancing act, but before long you’ll be fogging like the experts. The Burgess 1443 Propane Insect Fogger is available here. Pick yours up today and you’ll be enjoying cool mosquito-free nights before you know it. There are over 3,000 different species of mosquitoes. Adult mosquitoes generally live for up to two weeks and can make your time outdoors unbearable. Some species of adult females, however, can “overwinter,” hibernating in logs or burrowing in the ground. Mosquitoes are annoying. Beyond that, though, they are responsible for transmitting diseases. Zika, West Nile, and Malaria are all spread via mosquitoes. For more detailed information about mosquitoes and the diseases that they can spread, check out what the CDC has to say. Don’t be afraid to take steps toward eradicating the mosquito population in your yard. This is one time where you’re dealing with a true pest. Treating the problem is great. Preventing it is better. Choose a mosquito control product you’re comfortable with and begin treatment prior to the establishment of a problem. If you live in a four-season climate, my recommendation is to begin treatments during the spring. But don’t stop there. Mosquitoes need water to reproduce. Don’t give them the breeding grounds they need. Make sure to address any standing water in the yard. Debris, including woodpiles and fallen leaves, can contribute to a pest problem. Clean up that yard, choose your mosquito repellent, and before you know it, you’ll be living the good life—mosquito-free!